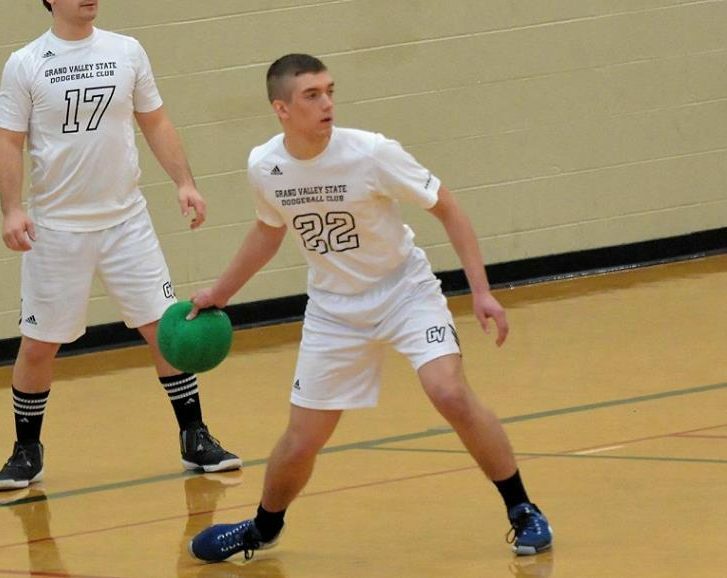 The National Collegiate Dodgeball Association continues to expand at a rapid pace. As the number of teams and players in the league increases, so does the competition to make the All-American Team. 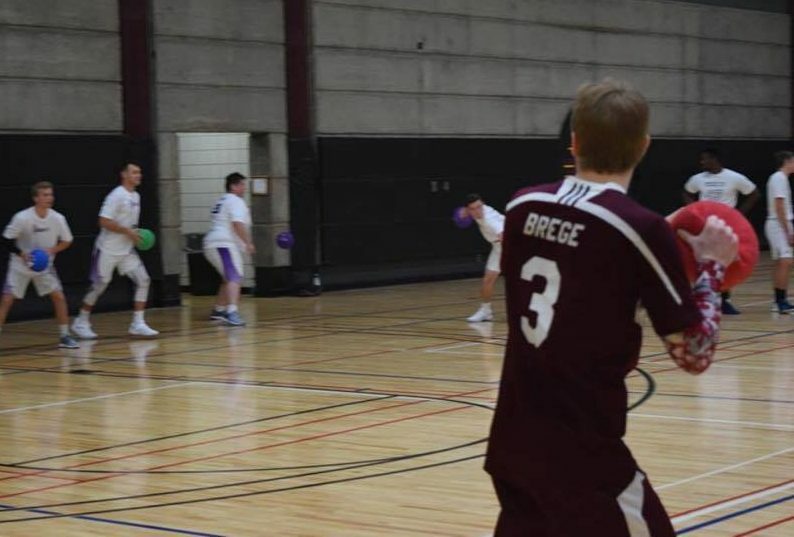 As we have reached the end of the 14th season of College Dodgeball, it is time to announce the players who have earned a spot on this year’s list. Congrats to all the fantastic players on this list. This award should come as no surprise to anyone that has followed the league closely this season from start to finish. Riley took over as captain for a Central Michigan squad that lost the majority of its fire power from the previous season. While many predicted that it would be a “rebuilding year” for this team, Riley was adamant from the get go that this would be the greatest CMU team in school history (a very bold statement considering the program’s past accomplishments), and that they would set a standard by which teams across the league would measure themselves for years to come. Right from the start, he had this team firing on all cylinders, leading them to an unbeaten first half of the season, and finishing the season 28-2 overall. What makes Riley stand out the most from the others on this list is his leadership on and off the court. His presence alone, and immaculate skill level, forced teams to change their game plans altogether. When Riley was not on the court, CMU was a completely different team, he was the glue that kept everything running together. On behalf of all former Chips, thank you for setting the standard for years to come, and congratulations on earning CMU’s first ever MVP distinction, it has been a true pleasure watching you represent Maroon & Gold at its finest. Brandon Meisel had his best season yet as a Junior this year. 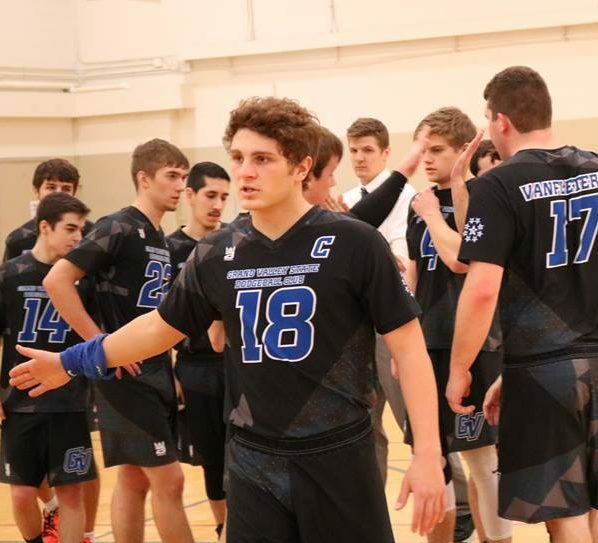 The captain for the national champion Grand Valley State Lakers, Meisel proved once again that he and his team can always be counted on to perform when a trophy is on the line. GVSU struggled through a less-than ideal regular season, losing four times to Central Michigan along the way. Despite these struggles, Meisel kept his team on the right track, improving consistently throughout the year. In the end, his leadership did the trick, as GVSU finished the year with their 6th consecutive national title, winning the title game over CMU 6-1! Meisel is one of the hardest throwers int he league, keeping his opponents guessing whether he will clip their toes or blast them in the face. He has an incredible ability to anticipate plays and run opponents down in transition. And of course, his ability to make athletic catches, especially in crucial situations, is as good as anyone’s in the league. Meisel will be back in 2018-19, leading GVSU in his senior season. 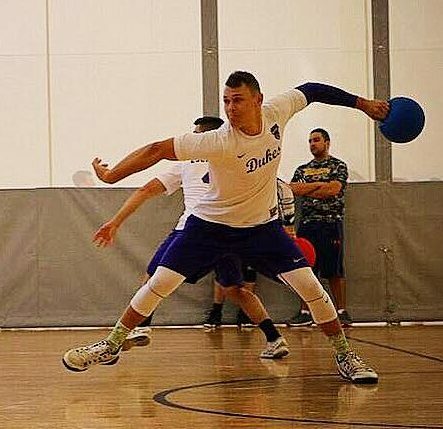 With the rate at which he continues to improve his game, Meisel is my early favorite for 2019 College Dodgeball MVP. 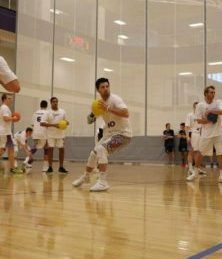 If there’s one thing that needs to be said about Doug Schilling, it’s that down to his very last game he gave it his all for JMU Dodgeball, arguably more so than any captain that has come before him. The southpaw from Pennsylvania had one of the most devastating throws in NCDA history whom few rarely caught thanks to raw power and incredible dip. While his time with the purple & gold is up, he will go down as one of, if not, THE greatest Duke in JMU history from a program that has produced many talented players. Nick Hazergian makes the cut for All-American for a second consecutive season, finishing at #4 on the list this year. One of the most feared arms in the league during his time with Saginaw Valley, Nick’s talent will be missed next year. The lefty for SVSU throws 79mph, making him a huge part of his team’s offense. Adding on to that, Nick is a great leader for his team. The Cardinals shrugged off a poor start to the season and had a fantastic second half of the year, dominating The War and making the Final Four at Nationals. This late season surge was thanks in part to Nick’s talent and leadership. Congrats on a great career Mr. Hazergian. 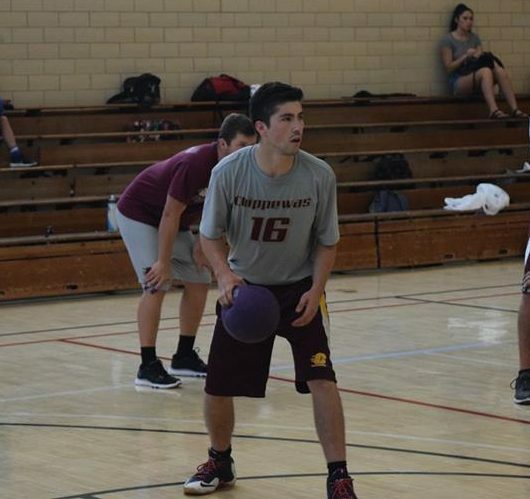 Michael Hinely was a guy that burst onto the scene last season as one of the best all-around players in the league. He maintained that same form during his senior year and was still one of the top threats in the league. Towson has been on a steady climb since their induction into the NCDA, and a lot of that can be attributed to the success Hinely has had on the court. He will certainly leave behind a legacy that all Towson players will aspire to. The second Duke on this list, Evan Eschenburg is a great athlete who stands out even among his skilled JMU teammates. Last year an ankle injury kept him out for most of the season, but in his junior year, Eschenburg was lighting up opponents left and right, and was instrumental in JMU’s dominance over the East Coast. He will be the undisputed leader of what will be another great JMU team next season. 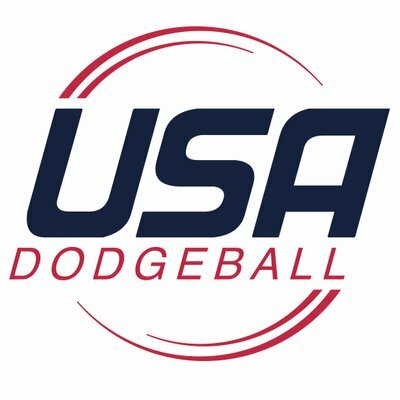 Not many people are able to pick up the sport of dodgeball and be a highly skilled player immediately. Grant is one of the few individuals who did. With this being only his second season, it is hard not to think what kind of player he would be if he had started playing during his freshman year. Grant can do it all, but what impresses me the most about him is his ability to make clutch plays time after time. Congrats to Grant on making his first and final All-American appearance, and on a short, but tremendous career at CMU. 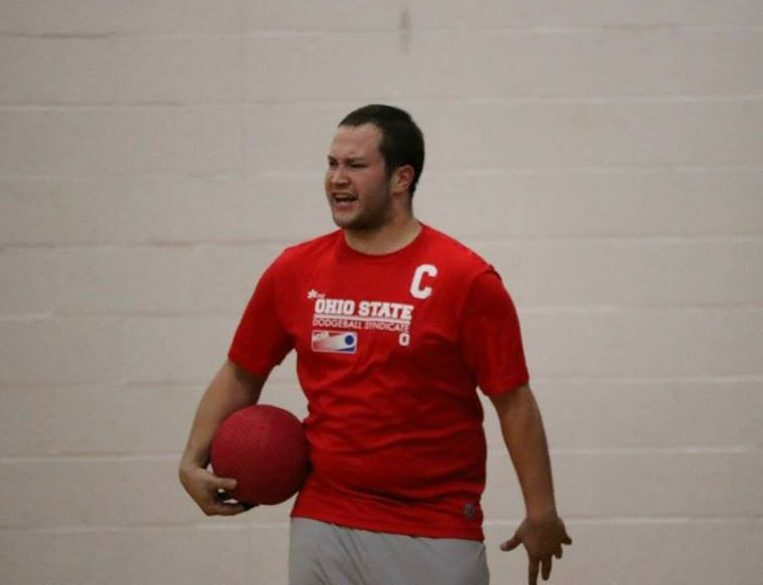 After coming up one spot short of making 1st Team All-American each of the previous two seasons, the top player for Ohio State University has finally taken his rightful place as a College Dodgeball All-American. Jeff is one of the most dangerous players in the league with a ball in his hands. With a very strong throw and lightning-quick release, Jeff has been a massive threat to OSU’s opponents for years. While his career has finally come to an end, his legacy will live on as the current group of young talent on OSU’s team is poised for a breakout season in 2019. Congrats again on a stellar career, Jeff. One of the all-time greats. 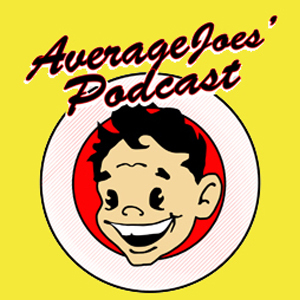 If you told me in September that Austin Brege was going to be an All-American this year, I would have done the following: First I would have laughed at you, then bet you everything in my bank account that he wouldn’t make it, then taken out a loan to double that bet. Thank goodness that never happened, because I would have realized by October that I was going to lose all of my money. 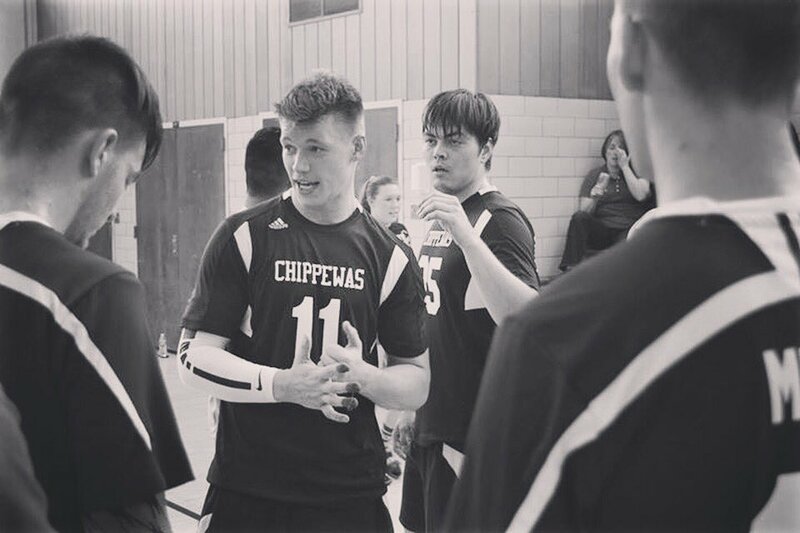 Having the privilege of playing with Austin in my final year, he lacked the confidence to be a play-maker, let alone making an impact on the court. Here and there he’d make a play, but nothing spectacular. Now his skill level requires you to alter your strategy so that he doesn’t pick your team apart. He gradually became an integral component to this team, and was a major reason why they had so much success this year. Next year he takes on the role of Captain, I have much faith that he will follow the path that Riley has laid out for this clubs future. Tyler Paalman impressed many over the course of the season which is why he finds himself on this list. Paalman was instrumental in Kent’s second semester and Nationals surge, providing plenty of kills and aggressive play to help the Golden Flashes consistently stay in the top 5. His All-American and All-Ohio selections were well deserved, and he’s got one more year to make a case for both Ohio and NCDA MVP. 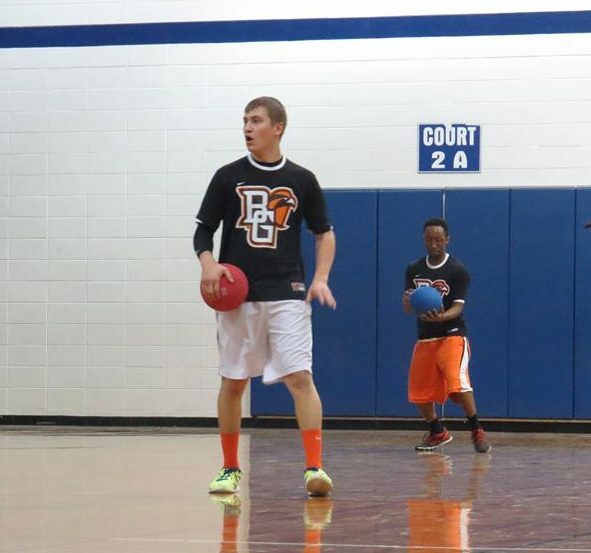 Tylar Wickham put together his best year of dodgeball in 2018, leading BGSU to easily their best season ever. The veteran for the Falcons, Tyler had many roles on his team. One of BGSU’s emotional leaders, a top arm for their offense, and often a clutch catcher. Tyler can do it all, and his all-around skill is a major reason why he earned a spot on the 2018 All-American Team. Aaron Krafft has been one of the top players on GVSU’s team ever since his freshman season back in 2015-16. The junior put together his best overall season yet in 2018, finishing with an extremely impressive Nationals performance. One of the most dangerous all-around players in the country, Krafft can eliminate opponents with his extremely accurate arm, or take them out by making clutch catches. The do-it all player for GVSU will be back next season, making the Lakers easy favorites to once again win the NCDA National Title. Rounding out the list of All-Americans is Jordan Watt. His electrifying play (pun completely intended) this season took everyone by surprise and terrified opponents who had to stand in the way of his powerful throw. Watt had one of the strongest arms in the league this season and was definitely one of Towson’s best offensive players. *Check back on Wednesday for our Second Team All-American list.